We welcome all enquiries for local and national journeys, airport transfers, tours and contract hire. Whatever your requirements, you can be sure that your booking will be looked after with the kind of attention to detail and personal service that means you'll travel with us again and again. With over 30 years experience in the Industry we can provide you with a professional service. 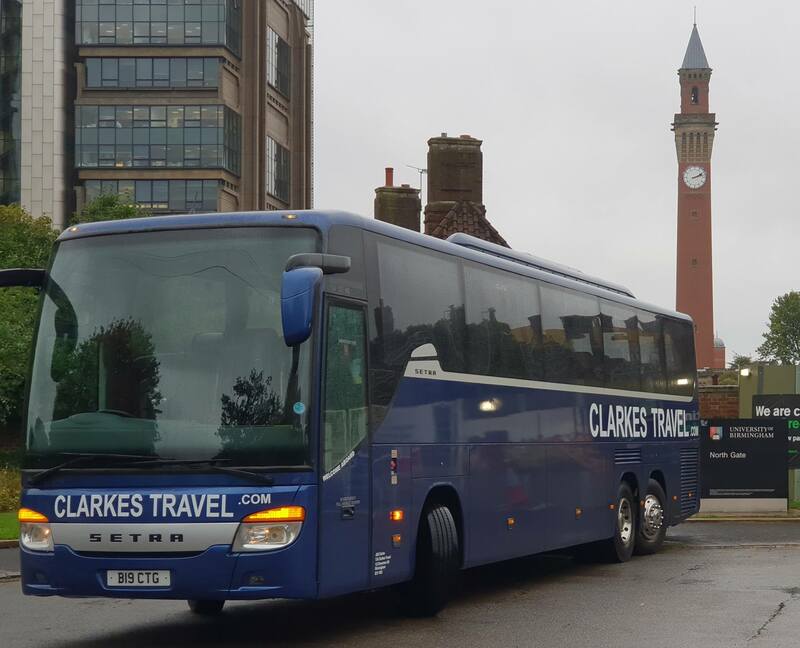 We are located near Birmingham, and are ideally placed to deliver local and national coach hire services to customers in Birmingham, Tamworth and the wider West Midlands. We operate throughout the UK, and are also happy to quote for work originating in other areas. Should you require a long term / contractual hire please feel free to call to discuss further how Clarkes Travel can help.